India gets Free Wifi Hotspots. And an App to connect. Remember how you loved connecting to free wifi hotspots on your last trip to Europe? Well, India is not far behind. In fact it might be a step ahead. 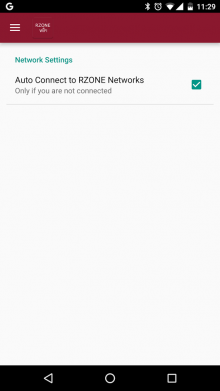 As now you can not only connect to free wifi hotspots across several cities in India, but an app can also help you automatically connect to them. So no OTPs or forms to fill every time you want to connect to a free wifi hotspot. Reliance communication recently launched their RZONE free high speed wifi service. They already have an impressive list of hotspots and is expected to grow over time. You don’t have to be a Reliance subscriber to use this service. All you need is an Indian mobile number to connect. Look for RZONE wifi sign at Airports, Hotels, Malls, Hospitals, Restaurants , Cafes etc. 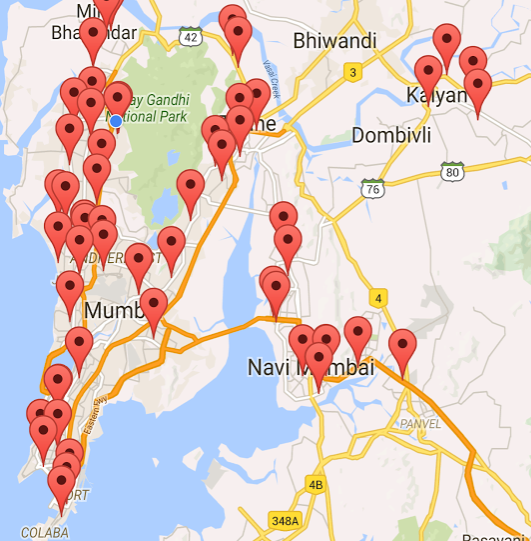 Free WiFi Hotspots in Mumbai. Impressive list to start with. To make the process simpler, just download the RZONE App from playstore and enable ‘Auto-connect to RZONE Networks’ in settings. It’s that simple. And the free wifi service is not limited to just Delhi, Mumbai, Bengaluru, Chennai and Kolkata. The list of cities with free wifi hotspots in India includes Agra, Ahmedabad, Ajmer, Akola, Alapuzha, Aligarh, Allahabad, Ambala, Amravati, Amritsar, Asilmetta, Aurangabad, Bangalore, Baroda, Bhatinda, Bikaner, Bilaspur, Chandigarh, Chandrapur, Chennai, Chhindwara, Chinchwad, Cochin, Coimbatore, Davangere, Delhi, Dhulia, Dindigul, Durg, Faridabad, Gajraula, Ghaziabad, Goa, Greater Noida, Guntur, Gurgaon, Hyderabad, Indore, Jaipur, Jalandhar, Jammu, Jamnagar, Kadapa, Kanpur, Karimnagar, Karur, Kerala, Khandwa, Kochi, Kolhapur, Kolkata, Kota, Kottayam, Krishnagiri, Kurukshetra, Latur, Lucknow, Ludhiana, Madurai, Mangalore, Manipal, Mathura, Meerut, Mehsana, Mohali, Mumbai, Mysore, Nagpur, Nanded, Nasik, New Delhi, Noida, Palakkad, Palanpur, Parbhani, Pathankot, Patiala, Patna, Pondicherry, Pune, Raigarh, Raipur, Rajkot, Ranchi, Salem, Sangli, Secunderabad, Shri Ganga Nagar, Solapur, Sonipat, Surat, Tuticorin, Ulhasnagar, Vadodara, Vapi, Varanasi, Vasai, Vellore, Vijaywada, Visakhapatnam, Vizianagaram, Warangal, Wardha, Yamuna Nagar, Zirakpur. You can expect other cities to be added soon.